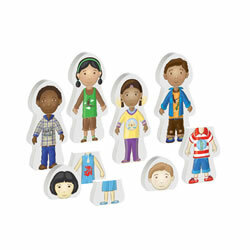 Acceptance of diversity encourages children to appreciate and respect differences in others. 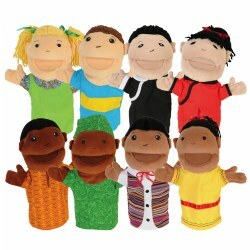 Infants and toddlers will enjoy babies, dolls, bilingual books, and multi-cultural friends representing many ethnicities. 12 months & up. Friends from different backgrounds will give young children opportunities to expand their self awareness and help build relationships. 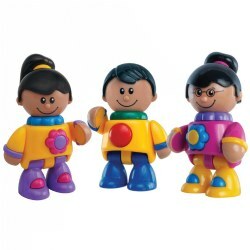 Each figure has moveable body parts and a squeaker tummy. Approximate size 5"H x 3"W x 2"D.
12 months & up. 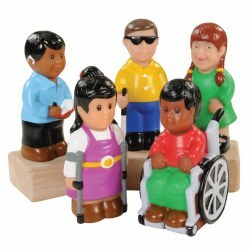 Encourage interaction and role play with this set of TOLO® First Friends.The figures feature moveable arms, legs and head, clicking sounds and squeaker tummies. Includes 2 boys and 1 girl. Approximately 5" tall. 12 months & up. 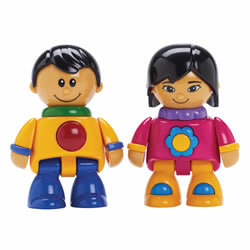 Encourage interaction and role play with this set of TOLO® First Friends.The figures feature moveable arms, legs and head, clicking sounds and squeaker tummies. Includes a boy and a girl. Approximately 5" tall. 12 months & up. 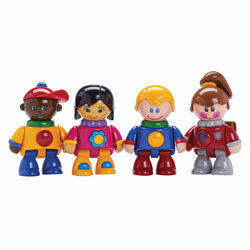 Encourage interaction and role play with this set of TOLO® First Friends.The figures feature moveable arms, legs and head, clicking sounds and squeaker tummies. Includes 1 boy and 2 girls. Approximately 5" tall. 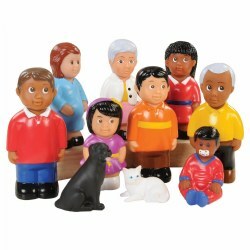 Children will learn about the value of diversity as they see people who are the same and different than them. 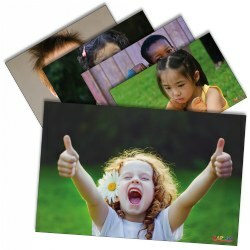 Fun photographs reinforce learning. 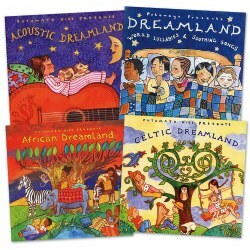 A collection of world lullabies that is perfect for relaxation or naptime. 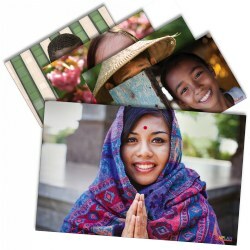 Beautiful and soothing music from around the world will create a tranquil and calm ambiance. 12 months & up. Sing four popular rhymes in English and Spanish. 12 months & up. A basket full of babies, a basket full of fun! 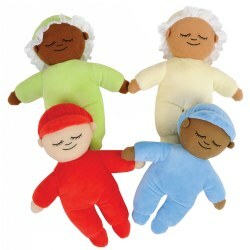 This set of six multicultural babies features removable sack dresses, adorable faces and soft bodies for hugging. Comes in a plush basket for carrying around or as a fill and spill activity. 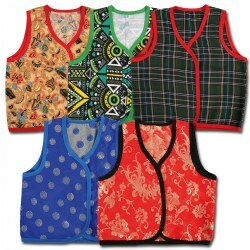 Stimulate senses with plush fabrics and fine motor skills by dressing babies. Each doll is 10" tall. 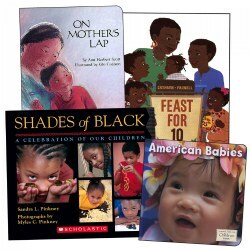 Four board books use candid images common to a child's world to teach concepts of family structure and diversity. 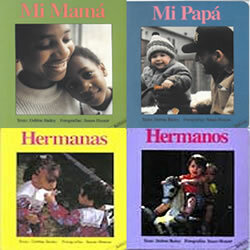 Spanish set includes Hermanos, Hermanas, Mi Mama, and Mi Papa. 12 months & up. 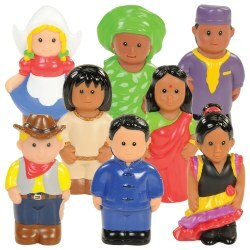 Children will learn about the value of diversity as they see people who are the same and different than them. 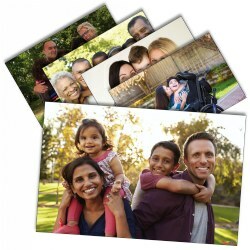 Unique illustrations and fun photographs reinforce learning. 12 months & up. 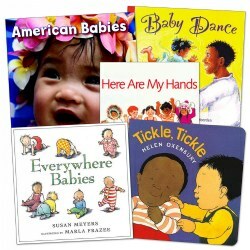 Explore the lives of babies from around the world as you teach children about other cultures. 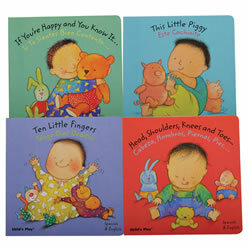 Vibrant colors and fun illustrations make these books a delight. 2 years & up. 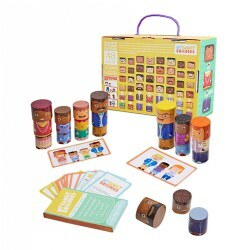 Make friends with children from around the world, mixing and matching the chunky puzzle pieces to make many different combinations. Each friend is dressed in clothing that recognizes a different culture -- China, India, Native American, Africa, Mexico, and the USA. 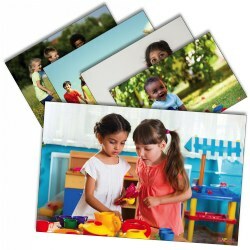 Each 3-piece child measures 6"H x 3"W.